Lieutenant Tarenfold: Listen, I’ll be frank with you – we’re not at full strength here. 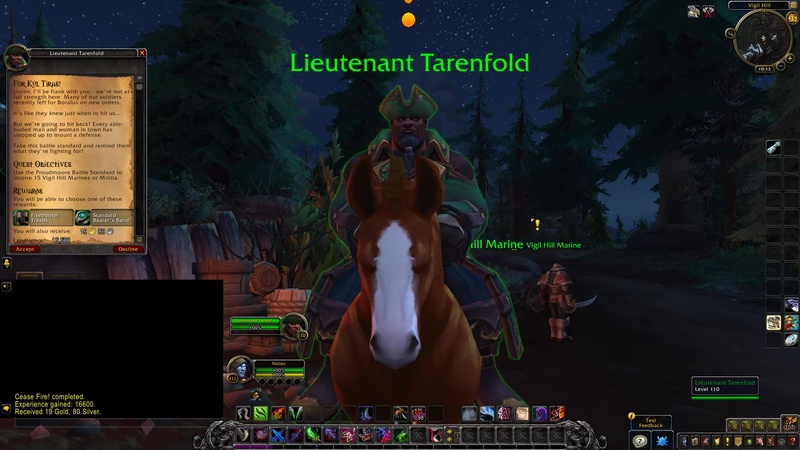 Many of our soldiers recently left for Boralus on new orders. It’s like they knew just when to hit us… But we’re going to hit back! Every able-boded man and woman in town has stepped up to mount a defense. Take this battle standard and remind them what they’re fighting for! 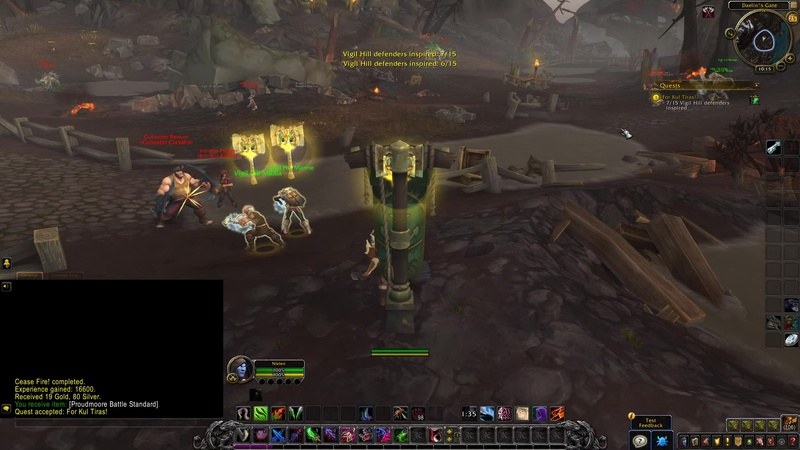 Use the Proudmoore Battle Standard to inspire 15 Vigil Hill Marines or Militia. 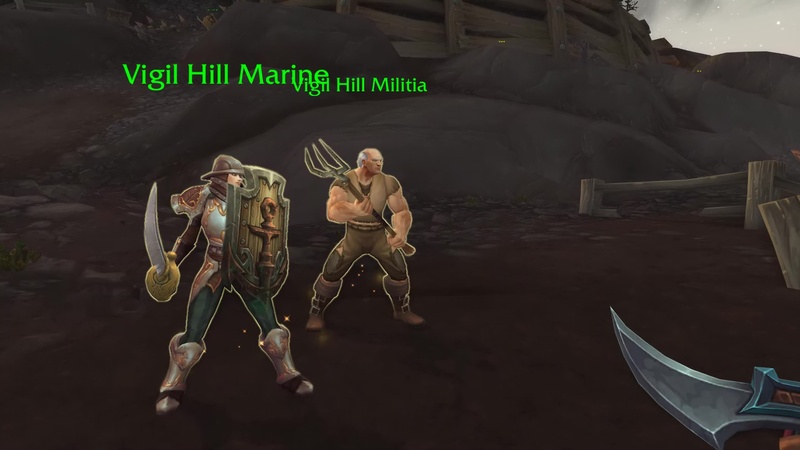 TIP: Stand near any Vigil Hill Militia or Vigil Hill Marine. Click the Proudmoore Battle Standard icon at your Quest Tracker (located below the mini-map). Lieutenant Tarenfold: It fills my heart with pride to hear that battlecry ring out across the field.